It can be difficult planning a wedding from afar. 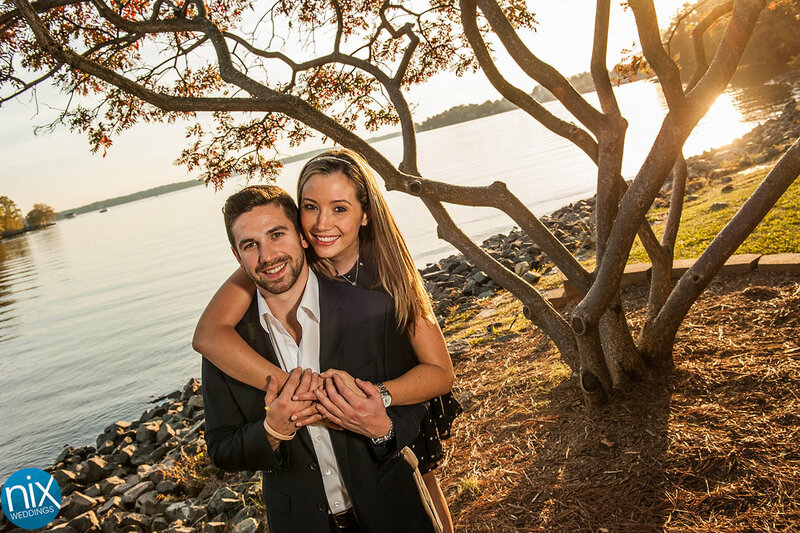 Catherine and Jeff live in Connecticut, but will be getting married on Lake Norman next fall. I can sympathize as my wife and I planned our Connecticut wedding from North Carolina last year. The first time I met these two in person was when we got to Jetton Park in Cornelius for the engagement shoot. We had a great time roaming around the lake-side park and were lucky to get an amazing sunset over the lake.